The best way to get to know a community is by scheduling a tour. See the facilities, meet the staff and residents, and get a feel first hand what it's like to live at Ashley Gardens Alzheimer's Special Care Center Memory Care. 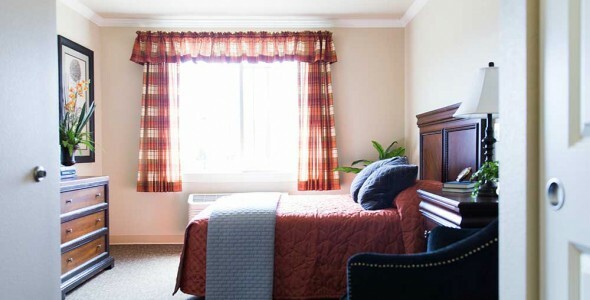 You will find Ashley Gardens Alzheimer’s Special Care Center located in Charleston, South Carolina. Our new community offers comprehensive care and upscale assisted living facilities, staffed by highly trained caregivers who are dedicated to ensuring you or your loved one receives the care they deserve. Ashley Gardens Alzheimer’s Special Care Center is part of JEA Senior Living which operates communities from the Great Lakes region to the West Coast. Founded by Jerry Erwin, JEA Senior Living is focused on providing retirement living and assisted living to seniors. Having seen a need for quality memory care following his own mother’s struggle with Alzheimer’s disease, he and his extended family opened their first Alzheimer’s Special Care Center and have opened over 50 highly specialized centers since. From the time you step into Ashley Gardens Alzheimer’s Special Care Center, you will notice that no detail is left to chance. From our beautiful and secure landscaped courtyard to our activities and supervised outings or the three delicious meals lovingly-prepared by our chefs, we see to it that each day is bright and meaningful. There is an assortment of private and semi-private units to choose from, allowing personal space where residents can live their lives just as they always had, but with the services and support when needed. Our memory care facilities are centered on our Meaningful Moments program, which is designed to serve the needs of those afflicted with memory loss conditions such as Alzheimer’s or other dementias. We start by getting to know the resident, understanding their preferences and favorite memories and from there we build a program for them incorporating the familiar ensuring a comfortable environment. We welcome you to visit Ashley Gardens Alzheimer’s Special Care Center, where you will find quality personal services for you or your loved one.